It's Earth Hour this weekend. And no matter how you feel about its message, I think we can all agree that seeing cities blanketed in darkness is chilling. 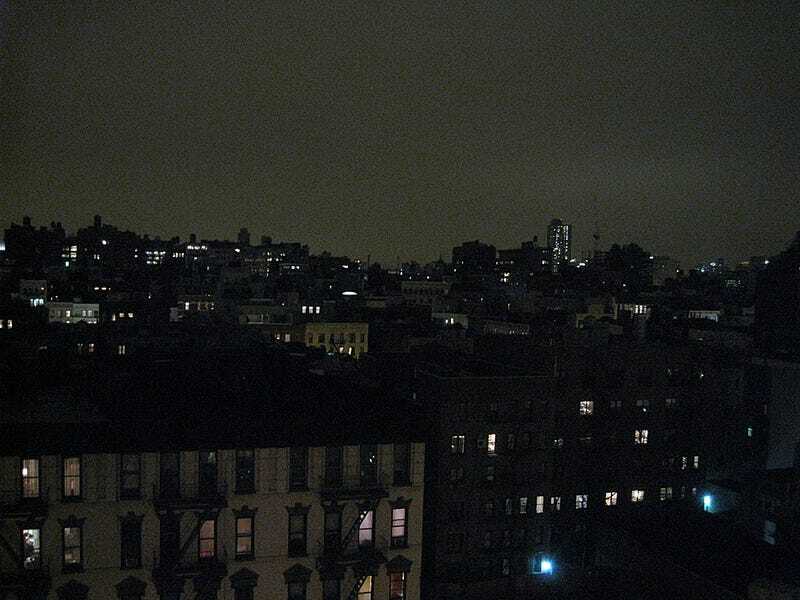 So for this week's Shooting Challenge, photograph the darkness of Earth Hour. You will be taking photographs in virtually no light. That means you'll need to slow down your shutter speed, giving the camera more time to let light in. And that means, you should use a tripod, or you should set your camera somewhere that it's steady. You might want to take a very long exposure for this challenge—as long as 15 or 30 seconds. It's a great time to try! Nikon has a great interview on how to pull this off. Notably, a lot of people use neutral density filters during long exposure photography. It's paradoxical, since these filters actually cut out light. But the idea is that they can prevent you from getting hot spot blowouts in your images. Our lead image is by H.L.I.T. It's of Earth Hour in Soho back in 2009. It's one of the rare photos that I love the digital grain you get from a high ISO. Notably, not all the lights are off! That's OK! In this case, NYC has a sleepy glow. But also consider searching for a street scene that's totally dark. 5. Include 970px wide image (200KB or less) AND a 2560px wide image in email. I know that your photo may not fall into those exact high rez dimensions, so whatever native resolution you're using is fine. Send your best photo by Monday, March 30th at 10 AM Eastern to contests@gizmodo.com with "Spring" in the subject line. Save your files as JPGs, and use a FirstnameLastnameEarthHour.jpg (970px wide) and FirstnameLastnameEarthHourWallpaper.jpg (2560px wide) naming conventions.